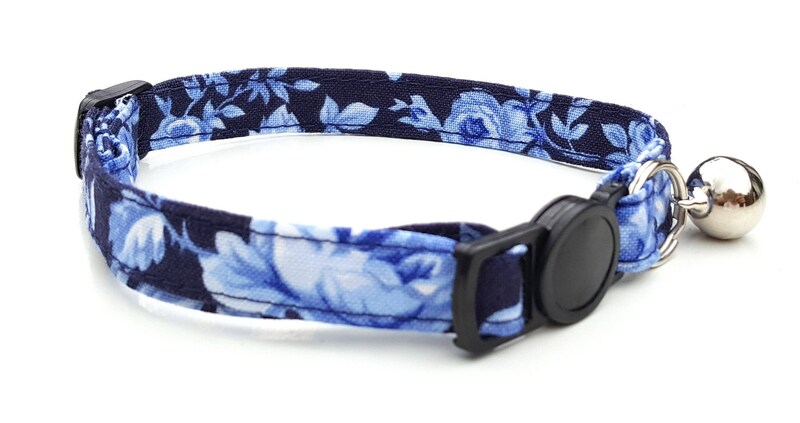 I started making cat collars for my own moggies as I wanted something less bling and more pretty and posh! Quick release safety clasp. 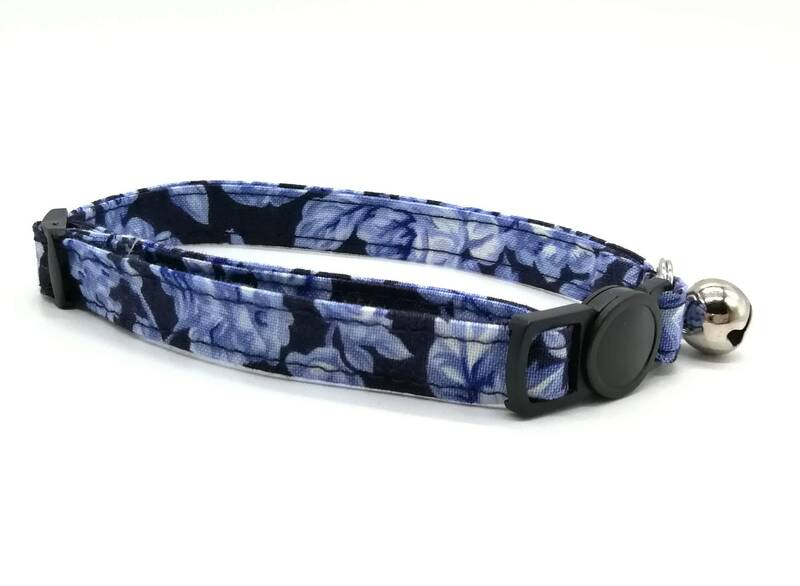 Breakaway clips are designed especially for cat collars,in order that they break open if your cat should get stuck and are not designed to be used with leashes. 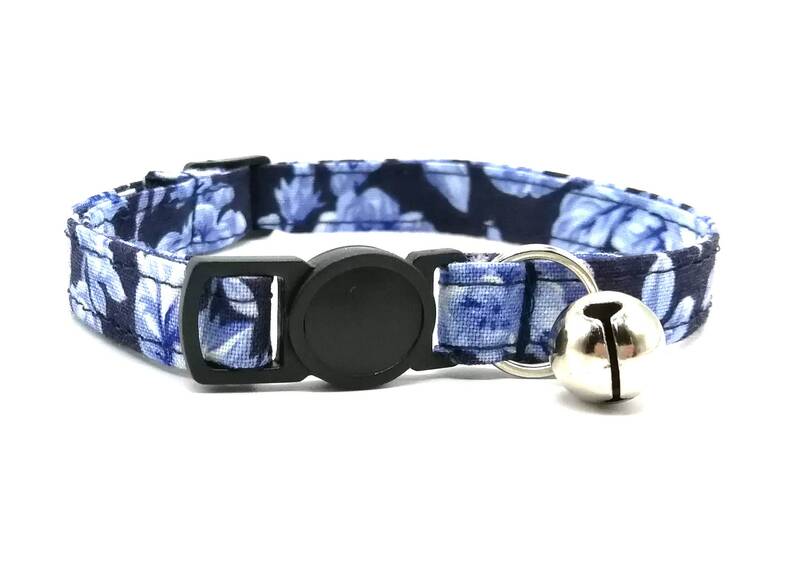 I originally received the wrong collar due to a mix up with someone who has a similar name in a US state with a similar name as well. How ever the situation was fixed quickly and I received the collar I ordered. 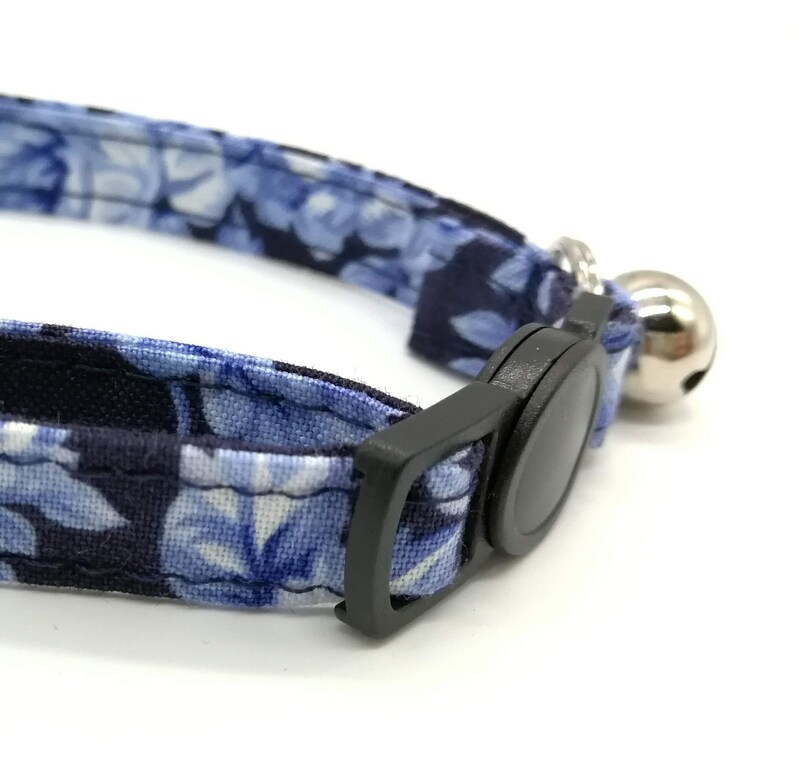 The collar is beautiful and well made, however since it's made of fabric I'm not sure how long it will last but at least my cat will look lovely until then.